Warwick Thorpe also from the Salvation Army has written a similar article (albeit much shorter) called The Recession: an opportunity to change. I recently sat down and compared the tax tables for before and after the 1 April tax cuts. I was alarmed to note that workers earning $14k or less would actually have to pay more. The tax increase (due to an increase in the ACC levy) is relatively small but for low income workers already struggling to pay their bills, who might - not unreasonably - be expecting to receive a bit more money, it’s truly going to be a slap in the face to receive less. I note the lack of publicity regarding this. For example, the Dominion Post on Saturday 28 March started their tax table at the $25k to $40k bracket, negating the need to explain what the tax situation was for those earning below $25k. Let’s hope the government has the courage to cancel the next two rounds of tax cuts. Surely the value of the tax deduction programme (estimated $4.4b) is better spent directly on the core services we expect governments to deliver such as health and education, as opposed to receiving an extra $10 per week for the average earner per year? It’s worth being aware that as of 1 April changes to KiwiSaver mean that the $40 fees subsidy per year has been removed. This will erode the investment value of the $1000 kick start that many people took up on behalf of their children, if they are not making any contributions. I remember highlighting an article on a low-income family that had enrolled their children in the scheme, hoping to ensure a better financial future for them. Unfortunately the rules have changed. The compulsory contribution of employees of 4% has also been reduced to 2%. Arguably this may make it more affordable for the less well off (not the poorest), however, those already paying 4% may want to consider reducing their contribution to 2% and focus on personal debt reduction or alternative savings options. Every recession has a silver lining as demonstrated by the recent back-down by National on their election promise to require DPB recipients with children over the age of six to work 15 hours per week. Paula Bennett described this decision as ‘pragmatic’, no doubt influenced by the lack of work currently available. The work test may be introduced at a later date when the recession is over, the end of 2010 was mentioned. Rahui Katene, MP for TeTai Tonga recently gave a speech launching a paper on homelessness prepared by Sustainability Ltd on behalf of Regional Public Health in Wellington. The paper, Homelessness in Aotearoa: issues and recommendations contains 38 suggestions on how to address the complex problem of homelessness. Section 59 is hitting the headlines again with a citizens referendum looming in August and ACT MP John Boscawen announced that he will be introducing a members bill to amend Section 59 of the Crimes Act. The EPOCH website contains great information on section 59 and explaining the purpose of the repeal and why it should not be overturned by a citizens referendum. The site includes a detailed briefing sheet, shorter info sheet and an excellent parenting pamphlet. It should be noted that this is a non-binding referendum. Also check out the Green Party's frogblog on the subject. The latest issue of Policy Quarterly(Vol 5 Issue 1 Feb 09) has several articles on the recession. 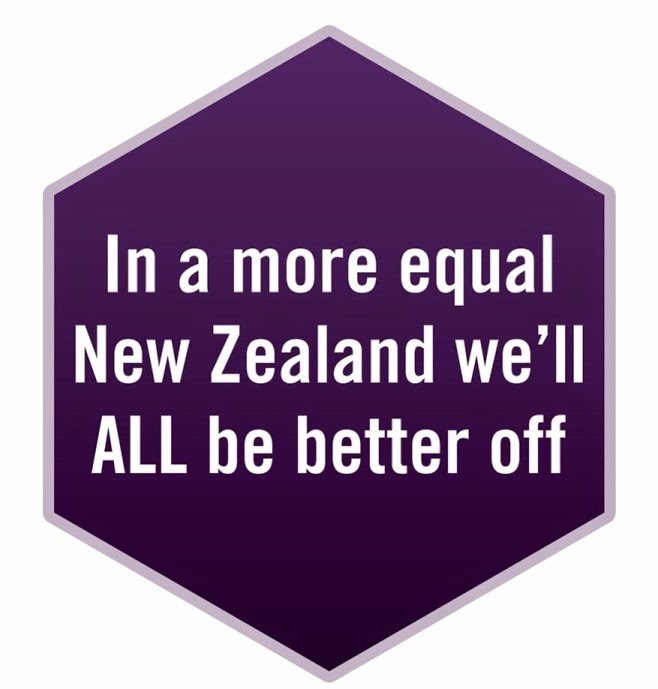 I highly recommend Michael Fletcher’s article “Social Policies in the Recession” in which he argues that the future economic and social performance of NZ (in areas such as child poverty reduction) is dependent on how we respond now to the recession. Thought must be given to “the distributional consequences of the recession”. If his name sounds familiar you might recall that he co-authored the OCC and Barnardos report A Fair Go For All Children, published last year. Also check out the recession article by Robert Stephens and the article by Brenda K Bushouse on the early childhood education 20 Hours (Free) programme, which is of special interest to those wondering why it’s not actually free and what the future may bring. The Ministry of Health has released the recommendations of the Nursing Advisory Committee on the Clinical Workforce to Support Registered Nurses. The recommendations are particularly relevant to aged care providers where second level nursing roles play an important role. The focus of the 2009 Conference is on gender, culture, and models of care, that will, through the presenters and discussions, enhance the conference attendees’ understanding of transformational spiritual care, that goes beyond the traditional medical model. Early Bird registrations close on the 31st May and more information about the Keynote speakers along with registration details, can be found on the Conference web site.